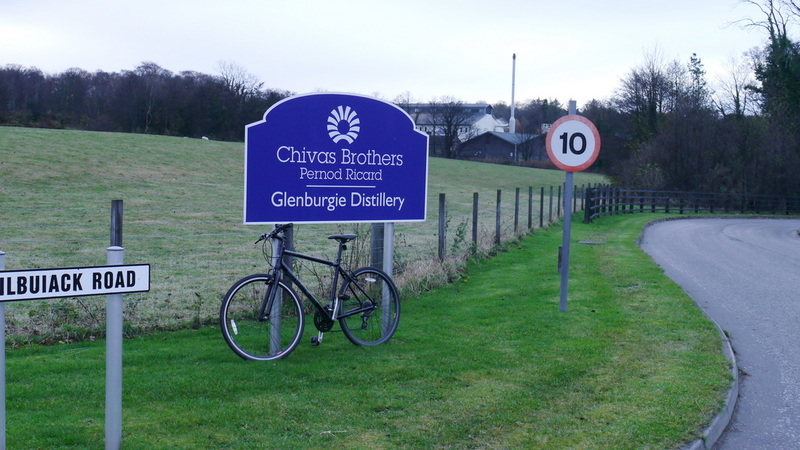 whiskycast suggests "glen of the fort" - Norse "borg" - "fort"
Glenburgie is not open to the public. 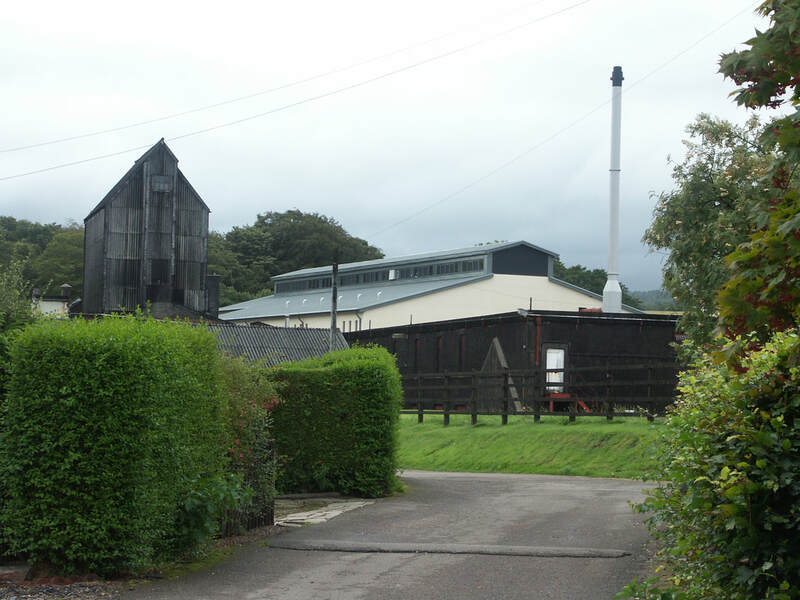 The first mention of a Distillery in the area is in 1810, known as Kinflat until the first rebuilding in 1829, Glenburgie was run by WIlliam Paul until 1871 when it was mothballed for the first time. Re-opened in 1878 it went through a number of owners, and was enlarged again in 1890, the first distillery designed by Charles Cree Doig. Irish Novelist Maurice Walsh was the exciseman at the distillery in the early 20th century - his most famous work a short story called "The Quiet Man", which was made into a film staring John Wayne - but as far as I can find has no connection with The Quiet Man - a new distillery in Ireland. 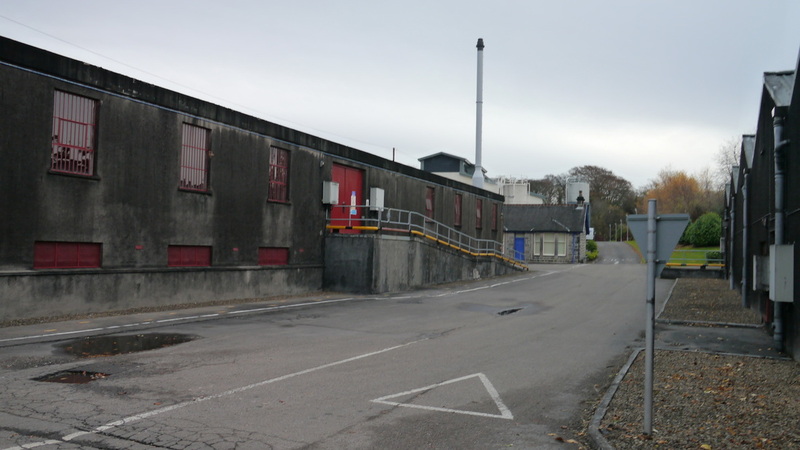 Glenburgie produced whisky until it was again mothballed between 1927 and 1935. During this time it was bought by Hiram Walker, who had also acquired George Ballantines and Sons, beginning the distillery's long association with the Ballantines blend. Laphroaig claims to be the the only distillery run by a woman in the 20th century, but Glenburgie was managed by Margaret Nicol from 1936-1959. Between 1958 and 1981 the distillery had a pair of Lomond stills and a separate malt, Glencraig (named after the Ballantines' production manager), was produced - a few independent bottlings are still available. In 1981 these were replaced by a second set of normal pot stills. In the late 1980s, Hiram Walker became part of Allied Lyons later Allied Domecq, which themselves became part of Pernod Ricard in 2005. 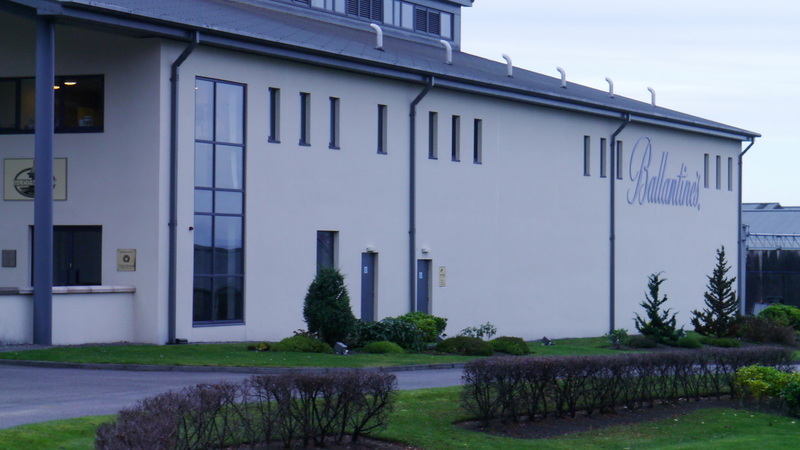 The distillery was completely rebuilt in 2004, with only the old stills remaining from the previous production equipment, a third pair of stills was added around the same time. 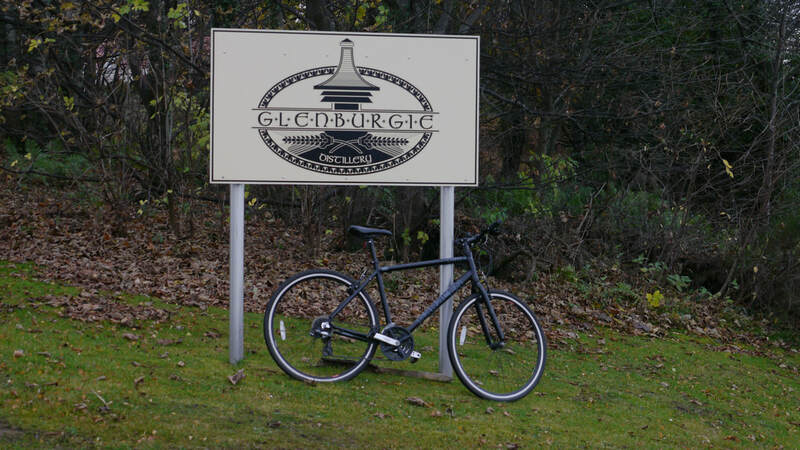 Glenburgie Distillery is just off the A96 Forres to Elgin road near Alves. Nearest stations are Forres (FOR) (5 miles), Elgin (ELG) (9 miles). Live Train Times: FOR, ELG. Station plan for Forres not yet updated to new station. National Cycle Route 1 is about a mile away on the other side of the A96. Glenburgie own bottlings are rare - a 14/15yo Chivas Cask Strength Edition - normally only available at Chivas distillery visitor centres but can sometimes also be found at specialist retailers. ​In September 2017, Chivas announced that they would be releasing 15yo expressions of the three malts that are the heart of the Ballentine's blend - Glenburgie, Miltonduff and Glentauchers. Independent bottlings are fairly common including the semi-official Gordon & MacPhail 10yo. Photos on this page were taken by me. Click on photo to enlarge. 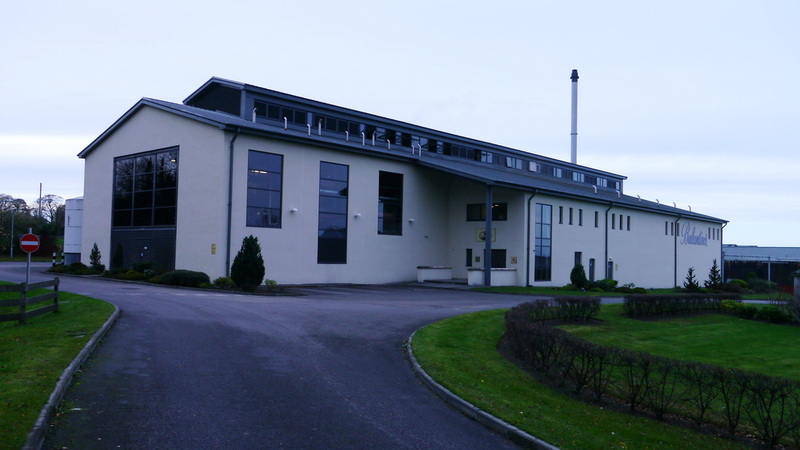 Full size versions of all my photos of Glenburgie Distillery are available on Flickr.